Las Laguna Gallery is seeking traditional collage art or collage digital artwork for Collage and Digital Madness. The goal in this exhibition is to feature the similarities and differences between the traditional and digital approaches. There are no limitations on sizes of work, although works over 60 inches are costly for shipping. Therefore, artwork sizes that are manageable are recommended. No video, sculpture, or jewelry will be considered at this time. Selected artists will have their works displayed in a gallery located in Laguna Beach, California. Las Laguna Gallery is located in Laguna Beach. The town is in the heart of Orange County (The “OC”) adjacent to the Pacific Ocean with 7.1 miles of oceanfront vistas. It is home to more beachfront lodging than any other city in California. Laguna Beach ranks No. 1 in the United States in economic impact of the arts on a per capita basis. This includes total spending by both organizations and audiences. During the summer, several million visitors flock to the resort environment for its picturesque beaches and festivals. Festivals include the Sawdust Art Festival, Laguna Art-A-Fair, Pageant of the Masters, Winter Fantasy, Laguna Craft Street Show, Laguna Beach Music Festival, and monthly First Thursday Laguna Beach Artwalk. 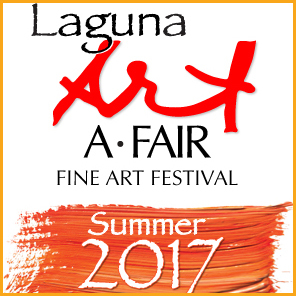 Laguna Art-A-Fair 2017 announces a call for artists for artists for the Summer Festival. Three pieces of original artwork and $40 jury fee per each media submitted for entry into the Summer 2017 Festival. Jury Day on February 12, 2017, 8am-11am. Accepted artists will become a member of one of the three premier summer-long art festivals in Laguna Beach, California. Laguna Art-A-Fair has been an integral part of the Southern California art scene for over 50 years, providing an excellent opportunity for 125 fine artists and master craftsmen to sell their artwork to tens of thousands of patrons. For more information, contact artafairmarketing@gmail.com. 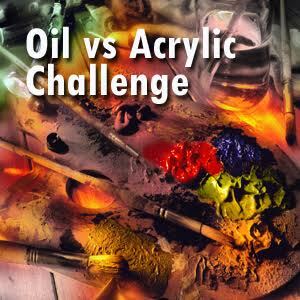 Las Laguna Gallery is seeking submissions from oil and acrylic painters for the Oil vs Acrylic Challenge. This unique open theme exhibition is designed to explore the differences and similarities between the two mediums. Artists selected for this exhibition will display their work at Las Laguna Gallery in Laguna Beach, California. This premier gallery sits atop the cliffs on Coast Highway overlooking the Pacific Ocean. Each year thousands of art lovers travel to Laguna Beach to view and purchase art. Las Laguna Gallery is dedicated to the exploration and engagement of contemporary and fine art visual culture through unique collaborations between artists, students, and the community. Las Laguna Gallery is seeking incredible artwork in a variety of mediums for an open theme exhibition. Any theme will be considered. Las Laguna Gallery is located in Laguna Village at The Cliff. This premier location is a good spot for art loving tourists seeking a place with a view, restaurant, bar, and music most nights. Las Laguna Gallery invites you to participate in an Open Theme Exhibition. Las Laguna Gallery is looking to showcase your talent at our gallery located in Laguna Village. All local, national, and international artists, professional and amateur, and multiple art mediums will be considered in this call for art. Each year more than 6 million people visit Laguna Beach. Visits to Laguna Beach spike from May through September, when there are 30,000 visitors a day to the city for the purpose of viewing and buying art. Las Laguna Gallery is situated in Laguna Village, a premier location with galleries, shops, and an onsite restaurant overlooking Laguna Beach. Las Laguna Gallery is seeking abstract works in a variety of mediums for Artistic Independence – Abstract Works. 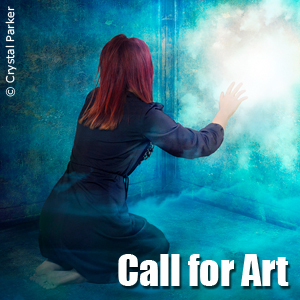 If you consider your art to be Abstract or Neo-Expressionist art, we’d like to see your art. Las Laguna Gallery is located in Laguna Village at The Cliffs. This premiere location is popular among tourists to Laguna Beach seeking art, beautiful ocean views, live music, and more. The artist / gallery split is: 60% Artist – 40% Gallery. Las Laguna Gallery is a contemporary and fine art gallery that features art from a diverse group of artists representing a variety of mediums. Las Laguna Gallery announces a call for artists for How I Identify – Myself. For this call for art we are looking for artworks that explore the complexity of the human spirit, mind, and body. What are the things that make you unique? What things make you stand apart from others? How would you describe yourself and how might others describe you? Is human-kind transforming? Do you identify yourself by gender, race, nationality, religion, or sexual orientation? Is your personality your identity? Can it be changed or is it hardwired? These are just of few of the ideas we are looking for artists to explore. Chosen artists will have their works displayed in the Las Laguna Gallery from March 3 to March 26, 2016. Las Laguna Gallery is located in Laguna Village, overlooking main beach Laguna and is host to art galleries and live music 3-4 nights per week. Artists are cordially invited to submit an application for the Golden 50th annual Art-A-Fair Festival held June 24 – August 28, 2016. Art-A-Fair Festival is one of three premier art shows held each summer in beautiful Laguna Beach, California. Noted for high quality fine art and master crafts, this exhibit of approximately 125 artists attracts tourists and patrons from throughout the world. Artists in all media are invited to present their work to be juried. The fee is $40.00 per medium. A complete entry includes three pieces per medium. Jury Day – Sunday, February 21, 2016. Deliver work between 8:00AM and 11:00AM. Pick up artwork and receive jury scores 4:00PM – 4:30PM. Location: Laguna Boys & Girls Club at 1085 Laguna Canyon Road, Laguna Beach, CA 92651. If you cannot attend February 21, artwork can also be juried by mail-in digital submission no later than February 6, 2016. A complete digital entry includes three images per medium, jury fee payment and mail-in application form. Further specifics on artwork submission and applications can be found on our website or call 949-494-4514. Art-A-Fair is a membership organization and an artist cooperative. As an exhibiting artist / member you will become an integral part of the show operations. The Art-A-Fair Festival is the ultimate destination for art lovers! Nestled in a colorful canyon garden setting in romantic Laguna Beach, Art-A-Fair is part of the historic art community and a couple blocks from famous downtown Laguna and gorgeous Main Beach. For more information, contact marketing@art-a-fair.com.